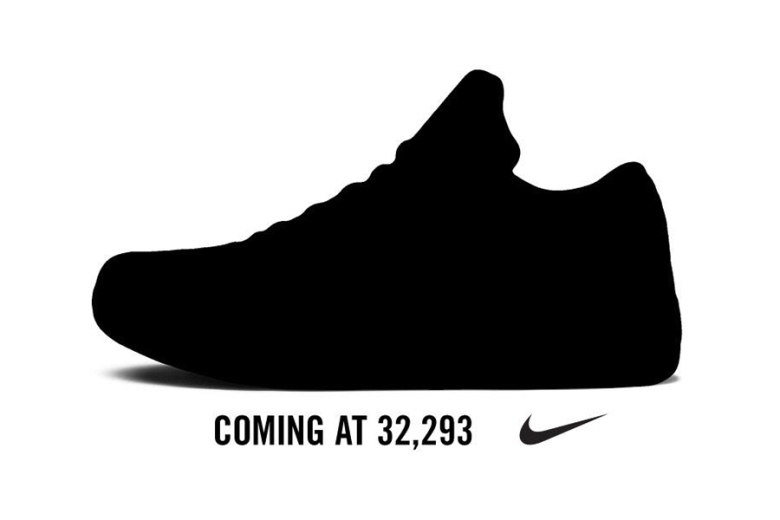 Nike has teased the coming release of a new Kobe Bryant signature via Twitter. Rather than a specific time and date, the news will be released when the Black Mamba out scores Michael Jordanon the NBA’s All-Time Leading Scorers List — which is just 77 points away. There are a few speculative details on the release’s model version, including even the much anticipated Kobe X, but we’ll just have to wait and see how Kobe plays in the upcoming games against New Orleans and Sacramento. Check back soon for all the details.